Get a Riverside County Traffic Ticket? You Can Beat It! Did You Get a Ticket in Riverside County, California? You can fight Riverside traffic tickets by getting them dismissed much easier than you may think. In Riverside, California, drivers are allowed to contest a traffic ticket using a Trial by Written Declaration. This is best way to fight a traffic ticket without going to an Riverside courthouse or hiring an expensive Riverside traffic ticket lawyer. We have found this to be the best way to contest a California traffic ticket, period. This option is available to every driver who receives a traffic ticket in Riverside, California. In fact, if you turn over your traffic ticket you will see that a Trial by Written Declaration is listed right on the back of your ticket as one way to fight it. This process has been around since 1978 to avoid having to pay traffic ticket fines. TicketBust has been helping California drivers prepare Trial by Written Declaration’s for over 14 years. In fact, tens of thousands of vehicle tickets in California have been contested using our system. We are the original traffic ticket fighter and the TicketBust system has been developed specifically to prepare all your documents properly based on how you answer a few questions. This way you can fight your ticket, knowing you have maximized your chances of having the court dismiss your Riverside County traffic ticket. TicketBust service will prepare your full defense package for you, which includes your Trial by Written Declaration and all the defense documents required by Riverside traffic court. Fill out the yellow form to fight your Riverside traffic ticket now! Did you know that you aren’t allowed to pass the white limit line when you are stopped at an intersection? From our experience, this can be a common ticket issued in the county of Riverside, so be on the lookout and stay behind that solid white line. If you find yourself having received a traffic ticket in Riverside, give us a call or fill out our form to see how we can help! Long before Riverside County’s formation, the area was traveled by several Native American groups including the Serranos, the Luisenos, the Cupenos, the Chemehuevi, and the Cahuillas. In March of 1774, Juan Bautista De Anza led an exploratory expedition to find a land route from Southern Mexico to California before reaching the area now known as Riverside. Therein after, the Spanish mission fathers of San Gabriel, San Juan Capistrano, and San Luis Rey began colonizing southern California and used western Riverside County for raising grain and cattle. After California gained statehood in 1850, gold miners, entrepreneurs, health-seekers, adventures, and people seeking religious freedom flocked to the area. 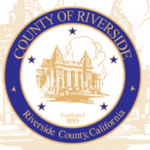 On May 9, 1893, Riverside County, getting its name from the city of Riverside, was formed from a small portion of San Bernardino County and a larger part from San Diego County. Since its formation, Riverside County has profited largely from the agriculture, construction, manufacturing, transportation, and most recently, the tourism industries which have contributed substantially to the region’s rapid growth. Home to over 2.4 million residents and comprising over 7,200 square miles, Riverside County is the fourth most populous county in the state of California and the tenth most populous in the nation as of July 1, 2017, having increased by 1.5 percent compared to the year prior. Riverside County encompasses the vineyards of Temecula, all the way through the dunes of Palm Desert to the California and Arizona border. Tourists and Residents alike enjoy the camping in Joshua Tree National Park, golfing in Palm Springs, and weekend long music festivals in Indio.